According to a 2012 Environment Canada report, electricity and buildings were responsible for 25% of Canada’s greenhouse gas emissions in 2010. 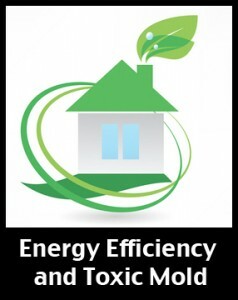 Designing energy efficient buildings and retrofitting existing buildings to increase their energy efficiency is a growing concern for architects. However a recent article in Environment and Energy Publishing reiterates the need to consider the microbial environment in building design, even when trying to improve energy efficiency. The 87 year old Alberta Court of Appeal in Calgary was remodeled in an attempt to bring the courthouse up to modern efficiency standards. Following the remodel several employees began suffering from fatigue, irritated lungs and watery eyes. Tang Lee, an architecture professor at the University of Calgary quickly discovered that in an effort to cut energy waste/costs creaks and gaps in the building were filled in. While beneficial to the environment, filling these gaps trapped humidity inside the building creating the perfect environment for toxic mold to grow in the walls. TLDR-Always consider the microbes when working with the built environment!